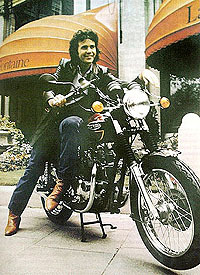 David Essex has always been a constant, musically, in my life growing up in England. Although, in truth, his first step into the limelight was actually a rather notable acting role as the lead in the stage musical, Godspell in 1971. Two years later, he starred in the film That’ll Be The Day (1973) and then recorded a MAJOR hit single, 'Rock On' (which he wrote himself), in the same year. A second successful single, 'Lamplight', also reached the British Top 10 later that year. Indeed, in the 1970s, Essex emerged as one of the UK’s top performers. His biggest hits during this decade included a pair of Number One singles: 'Gonna Make You A Star' (1974), a satirical look at his success; and 'Hold Me Close' (1975), a cheerful singalong. 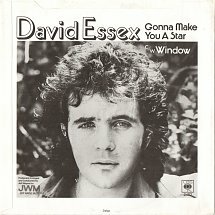 He also appeared in Stardust, a 1974 sequel to That’ll Be The Day, of which the title song was another Top 10 hit. In 1976, Essex covered the Beatles song, 'Yesterday', for the musical documentary All This and World War II. Essex’s pop idol looks gave him a strong female fan base and his British tours created scenes of hysteria reminiscent of Beatlemania. According to the Guinness Book of British Hit Singles - 16th Edition, he was voted the number one British male vocalist in 1974, and was a genuine teen idol for more than a decade. 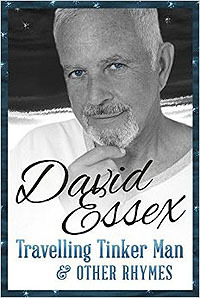 Chatting recently to the man himself, David Essex, and being that he had born something different, I first wondered at what stage had David Albert Cook become David Essex? "There was an existing Equity Union Member called David Cook, so to be able to join I had to change it. My late Manager, Derek Bowman suggested Essex as I was living there and I said OK!" Is it true that back as a wee boy you loved football so much that you were also a member of West Ham United Juniors, with aspirations to become a professional player? "Yes, football was a passion until I discovered Blues Music at the age of fourteen. Up to that time I was playing for West Ham Boys." Are you still a hardened West Ham fan today? And if so, do you go to any of their games? And if you do, have you ever walked though the museum where there is, supposedly still, a model (which speaks!) of you? "Yes, I was born there, played for them so there was never really an option. I still go to as many games as I can. But I haven't yet had the courage to see me in the West Ham Museum!" You made your first record in 1965. Entitled 'And The Tears Came Tumblin' Down' what are your memories of that time, and touring with the David Essex and the Mood Indigio band? "They were great times. I remember standing in the studio with an orchestra at the age of sixteen as they played 'And The Tears Came Tumbling Down.' Having never heard an orchestra live before it was an almost out of body experience! Nerve racking, but exciting." Around that time you also recorded both 'A Rose' and 'Leon and John And Billy and Me,' which both still remain unreleased to this very day! Existing on acetate, why did they never get released back in the day, and why have they never seen the light of day even now? "I can just about remember them. I know I wrote them, but thanks for reminding me. Maybe one day they will see the light." 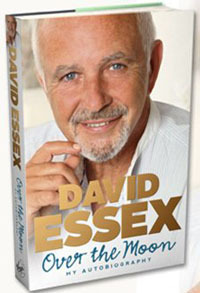 With regard both those two unreleased tracks, I'm sure you've recorded other material that has never surfaced over the years, so isn't it about time for a massive David Essex 10-CD box-set to come out containing everything, perhaps?! "Nice idea, but I think everything I have recorded is around somewhere." You first came to radio prominence in 1973 with the brilliant single 'Rock On.' Nominated for a Grammy, it signaled your chart arrival. So how did things change for you yourself around that time also? "It was a big change, as at about the same time it was also extraordinary to be coming to the end of a massive hit show like Godspell. I played Jesus in the West End, That'll Be The Day was a film I did with Ringo Starr and was the film to see, plus I had written and recorded 'Rock On' - which was a very different, worldwide hit. Reaching number one in the USA Cashbox One Hundred! So the change was immense!" Since your early days in the business on through to recent years, you have been very at home on the stage. Tommy, Evita, Mutiny!, All The Fun Of The Fair, etc. so I'm wondering if being on stage has been a more comfortable fit for you than singing in concerts, perhaps? "I enjoy both, but they are different, yes. Concerts are much less structured than theatre, but theatre is a broader canvas and probably more of a challenge; and I like a challenge." Do you still own the 1980 electric start Triumph Bonneville motorcycle that you were given when you did a spot for the struggling Triumph Workers' Co-Op? "Yes I do. I was out biking with my Son Billy just this week." In 1999 you were named an Officer of the Order of the British Empire (OBE). A proud day for you, of course, but where does that medal sit today within the Essex household? "Recently I was going through some things and was going to show my Grandson the medal only to realise it had gone. Then I remembered, about six years ago we were burgled and it must have been stolen, I was kindly given a replacement and it's kept very safely now." You have released many, oh so many albums throughout your career, but to this day never really cracked the US market. 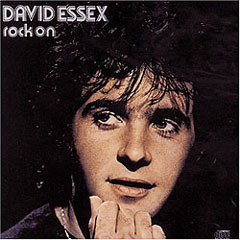 'Rock On' did reach #1 here in 1974, but why did David Essex not become a household name here thereafter? "I think that was partly my fault. I had a wife and a baby daughter and family has always been very important to me. Plus there were so many interesting projects to do in the U.K. that I'm sorry to say, I never really spent enough time in the U S. I neglected the States and I suppose the States neglected me. I do regret not working in the States, as I feel close to it's people and the actual country." 'Rock On' - "I was making a film called That'll Be The Day at the time. A film about a working class boy growing up in the 1950's in England, when it seemed all popular culture seemed to come from the States. so I initially wrote 'Rock On' for the title track of the film, which is why I used "Americana" images like James Dean, Summertime Blues, etc. The producer thought the record was "too weird", so it never made the UK cut, but after becoming a huge hit I believe it featured in the U.S cut. But I was still asked to write the title track for the film's sequel, 'Stardust'." 'Lamplight' - "I was driving home through London's East End, coming home from the theatre one night and I stopped at some traffic lights, looked up, and saw a single light bulb lit in a window without curtains in a run down house. It got me thinking!" 'Gonna Make You A Star' - "After being almost a cult figure, on the front pages of most credible music magazines, I then became very well known, sold out concerts, hit records, films and shows and for some reason the tag "teen idol" seemed to follow me around. I suppose the lyric is about those that found me credible and their reaction to a more populist success." 'Hold Me Close' - "A song I wrote in L.A and first played to Kenny Jones of the Faces. He loved it, but I wasn't too sure. It still seems to be very popular - a nice toe tapper!" Is it true that before you joined the cast of Eastenders as Eddie Moon in 2011, you were initially offered that of a then-new character, Jack Edwards back in 2006, but that as the role was expanded beyond the planned three weeks you had to decline? "Yes, timing was a problem." Today you have a new poetry book out called 'Travelling Tinker Man and Other Rhymes,' which reached #1 on Amazon. Please tell us more about this book and your love for poetry "I actually call the verses in the book rhymes, because I didn't want the book to seem pretentious. I was pleased it did so well. I suppose, as I have written shows and song lyrics it's an extension of that. Rhymes, or Poetry, they came from the heart. By the way, I did play Lord Byron, the poet, at the Young Vic in London!" As we're not called Exclusive Magazine for nothing, was there a poem that was on the verge of being included in the new book, but wasn't - due to page constraints, etc. - that you can now generously reveal to us and your fans here today? OH WHERE WOULD WE BE WITHOUT BOBBY MOORE. A busy writer, back in 2012 you released your autobiography, entitled 'Over The Moon.' How easy, or hard was it to put such an undertaking together, given that you had to recall memories of events from back in the day that might not be as clear to you these days? "Luckily, my wonderful late manager, Derek Bowman was an academic and kept a record of my career. So thankfully, I could refer to that from time to time. It was good to remember things I had almost forgotten." Your last CD was Reflections in late 2013, the new CD/DVD The Secret Tour Live out this very month (but recorded back in 2009), so can we expect a brand new CD from you this year, perhaps? "Not this year as I am actually writing a novel." Coming full circle, and from the moment you recorded 'And The Tears Came Tumblin' Down' in 1965, it just doesn't seem like you have slowed down for even a second. Are you always busy of mind, so to speak, and if so, is there still a project out there not yet undertaken that you would simply love to dive into? "Yes, I still like an adventure, but no burning desire to do any different projects at the moment." There is a new documentary movie coming out this year on you. Directed by Emmy Nominated Director Alan G. Parker, what can your fans expect to see? "My life and career from the beginning to now." Indeed, with regard this documentary on you, your recent autobiography, and the new TV show appearances I have watched you on, it seems you are a very open, "what you see is what you get" kinda guy. Have you always been this way? "I just think truth is important in all you do." You are also still loving your film and TV roles, so what can we expect to see you in - on both the big and the small screen - here in 2015? 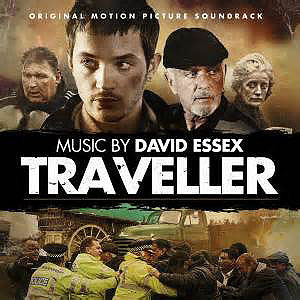 "I am proud of a new film I am in called 'Traveller,' which comes out in the USA and the end of August. It is an interesting look into Gypsy life." We are here in Detroit, Michigan, the "Home of Motown," so I was wondering if you had ever been here through the years - or have plans to come play for us soon? "Sadly, I have never been to Detroit although I feel I have spiritually through a love of Motown music." If you do decide to venture our way, it would be my pleasure to show you around our fair city and take you to the infamous, and actual Home of Motown, Hitsville USA (the Motown Museum) - which was founded by Berry Gordy Jr. and is the house he grew up in! "I'd love it!" You seem very active on Twitter, so is that all you or "Team Essex" behind the tweets, perhaps? "No, it's me. Yes, I do tweet now and again." Finally, we here at Exclusive Magazine LOVE penguins (the birds). So, I was wondering if you did also, perhaps? "I like Penguins, yes. They always look like they are dressed and on their way to a function!" 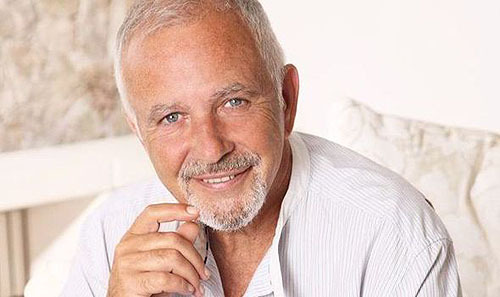 If you would like to win an AUTOGRAPHED CD from David Essex, just answer this question about, well, David Essex: In 2005, he appeared as a guest vocalist and wrote songs for which band AND what was the name of their album? !